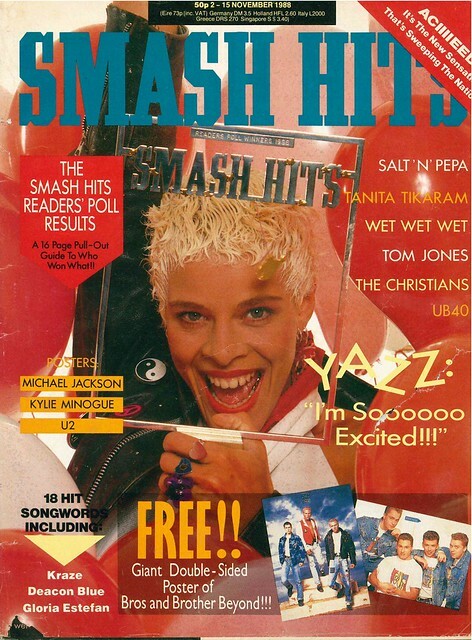 The only way is up for Yazz, as she is this week’s Smash Hits cover star, having been victorious in the Reader’s Poll. 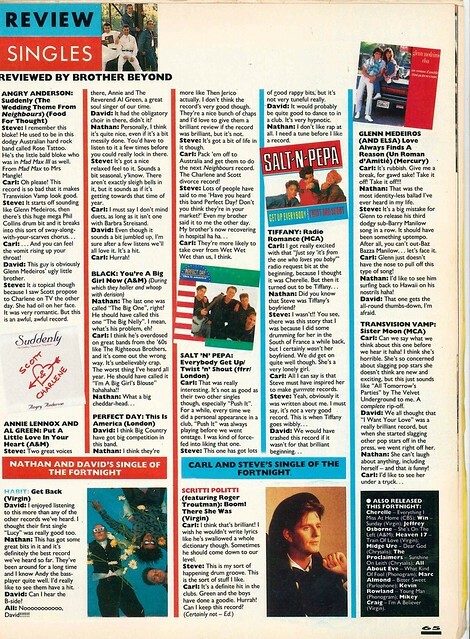 As you open the magazine, there is a feature on Wet Wet Wet, who won Best LP. 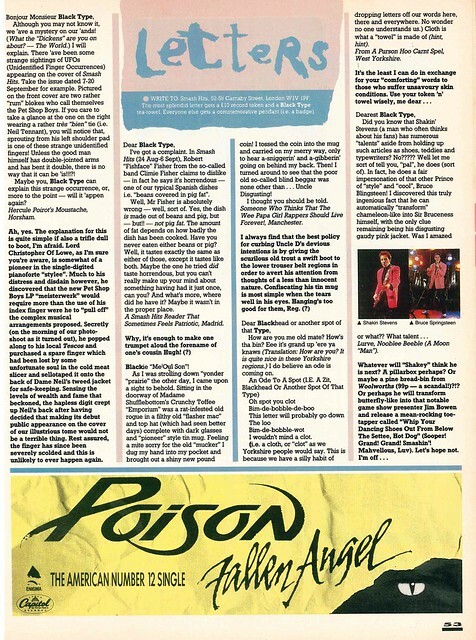 Joey Tempest of Europe gives his life advice, revealing that he is obsessed with women. Beside that, there is a feature on Milli Vanilli. Wether they mimed when being interviewed is not known. There is a double paged feature on acts who used to be popular but aren’t any more. The featured hasbeens include Bucks Fizz, Human League, Nik Kershaw, Five Star and Hue and Cry. 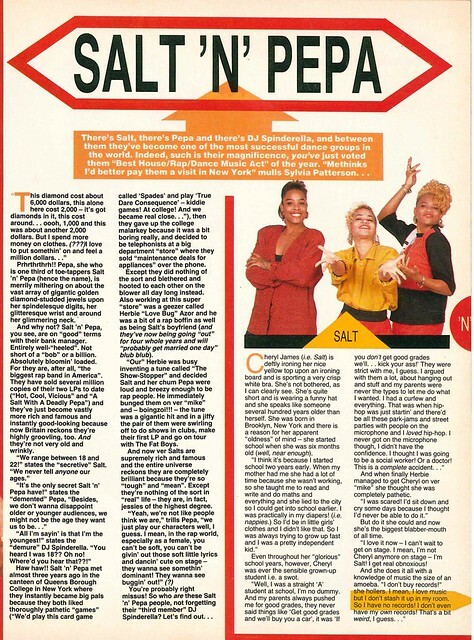 Another Poll Winner gets a double page profile, Salt N Pepa. Tanita Tikaram is the subject of a Q and A, revealing that her specialist subject on Mastermind would be Virginia Woolf. 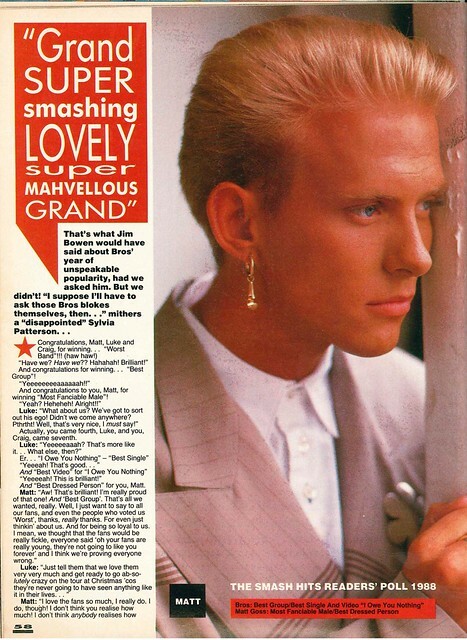 Yazz won Most Exciting New Pop Star, revealing that her real name is Yasmin Evans, but has never been to Wales despite having a Welsh surname. There is a double page feature on a new trend called Acid House, profiling stars of the scene such as Jungle Brothers, Baby Ford and Carl Fysh. Bros get a triple page feature (well yes, because there are three of them) after winning a lot of awards, some for their looks and some for their music. 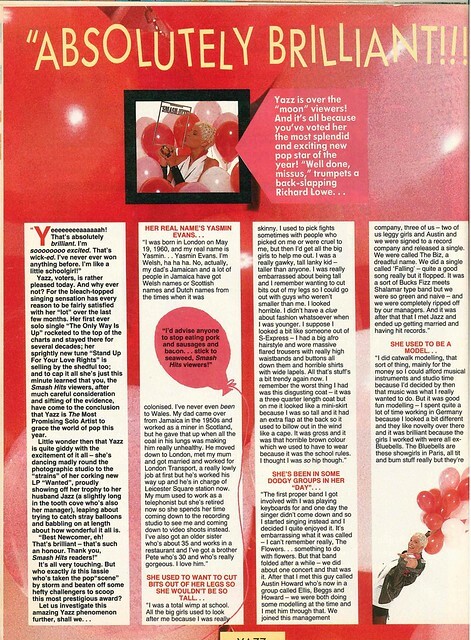 Brother Beyond review the singles, and there is a split in the camp – Nathan and David vote for Habit as Best Single, while Carl and Steve go for Scritti Politti. Deacon Blue get a lyrics poster accompanied with an interview, where they state they would like to be Dundee’s answer to Bruce Springsteen. 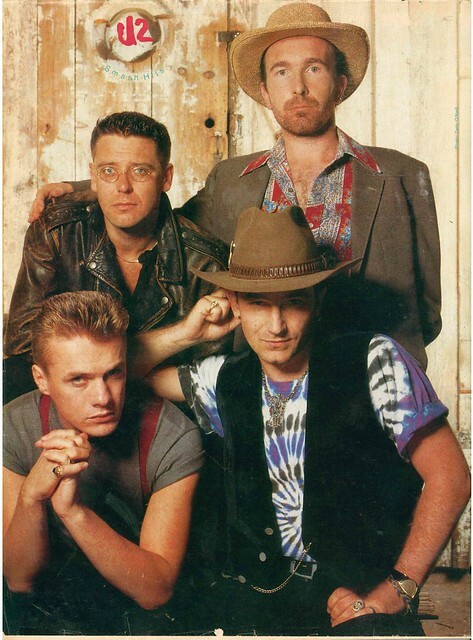 The magazine ends with a poster of U2. This entry was posted in Magazine Archive, Music and tagged 1988, Acid House, Bros, Brother Beyond, Bucks Fizz, Deacon Blue, Habit, Human League, Joey Tempest, Magazine Archive, Milli Vanilli, Music, Salt N Pepa, Scritti Politti, Smash Hits, U2, Wet Wet Wet, Yazz. Bookmark the permalink.